In all honesty, group trip planning is not my favorite thing in the world. However, when it comes to planning for a large group, there are ways to plan that will save you time and a headache! In this post, I am going to share with you how to plan a group trip without getting annoyed! 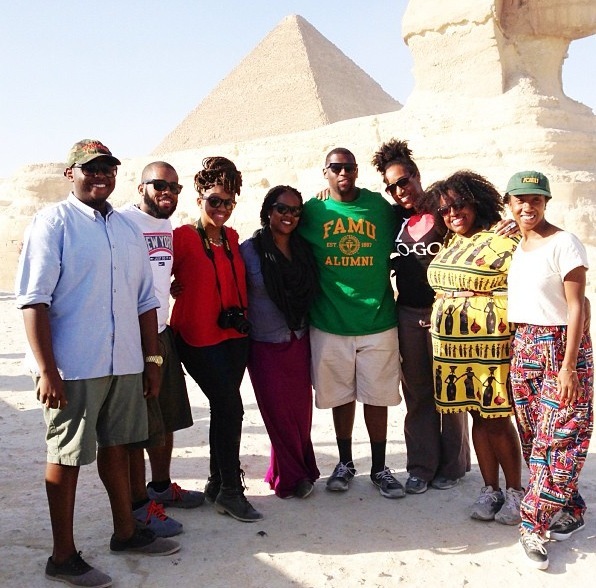 Here are a few ways to plan and coordinate group trips without getting annoyed as hell! + Have everyone submit three (3) things they want to do/see/experience on the trip. Have everyone submit three (3) things that are at the of their top priority list of things to do, see, or experience. Make sure everyone gets to do at least one thing on their list. + Know how much everyone is willing to spend. Everyone has a different budget. PLEASE be aware this can greatly impact the group trip. Make sure you have an idea of that budget. When booking a hotel, dinner, excursions, reservations, etc., take this into consideration. : This budget is not limited to the cost of the flight, but how much they are willing to spend meals, excursions, attractions, etc. + Coordinate your travel plans. This is obvious, but try to book your tickets together so you can get on the same flight and seated together. If not, try to arrive around the same time. Same goes for staying at the same hotel and booking reservations for various activities. It can be hard to plan and become a headache planning around arrival times! + Decide on transportations options. This goes back to the budget. Make sure everyone is on the same page when it comes to transportation options. Do you want to split the cost of renting a car? Are you all going to get rail passes? Doing cabs and/or Uber? Make sure everyone is on the same page where prices and the mode of transportation are to everyone's comfort level. + Plan the main stops. Some of the fun of traveling with family and friends are the spontaneity of the adventure! Plan the places to stay, transportation, and the 'Must Sees'. Then, leave space to make travel choices and changes as you go. Stop being so stiff - be flexible! + Don’t sweat the small stuff. Traveling with a group can be a lot of fun…and sometimes takes a lot of patience. Let the little things go. It is not worth ruining your travel experience. Realize you will have to compromise. Remember you are on an amazing, fun, adventurous trip with your family/friends! Let the small stuff go, travel with an open heart and mind, and HAVE FUN! What are some of your group planning experiences? What has been most effective for you when it comes to group planning?